What is the difference between BootCamp and CrossFit? How do you do your programming? What does the On Ramp cover? What programs should I do? I work at an NGO, International organization or some other job that requires frequent travel, can I pause my membership? I’m just visiting, can I drop in? Do you have Cambodian coaches? Bootcamp provides a high-intensity workout, similar to CrossFit, but without barbell work and much fewer technical movements (weighted squats, Olympic lifts, ring work, etc.). Bootcamp is designed to improve all-around fitness and be a preparation for those interested in eventually joining CrossFit. Bootcamp is also good for endurance athletes who are looking to balance out their regime with shorter, higher intensity work that will help develop speed and improve strength. We program both CrossFit and Bootcamp classes six weeks out. We assess the progress of our athletes and review what we’ve covered, focusing on keeping a balance between different movements and keeping things interesting and challenging. We take progression seriously and will work with our athletes to scale to what is appropriate and set goals for the future. We actively listen to our athlete and appreciate your comments and feedback so always feel free to contact us. On-Ramp is a mixture of theory and practice (you get a full workout in each session). Our coaches will introduce you to several fundamental aspects of CrossFit such as: bodyweight exercises, medicine balls, kettle bells, box jumps, weightlifting (back squats, deadlift, press), mobility and nutrition. Each session will include a “metabolic conditioning” (MetCon) component which will increase in intensity throughout the six courses. Funny you should ask, we wrote a Dispatch post on this a while ago, check it out. We understand, several of our staff are in the same situation. We offer several different membership options to try and accommodate for this. In addition, our annual plan is based on a 13-month year, which is meant to compensate for travel while also offering a decent discount on the monthly plan. If this does not fit in your budget or travel plans, you may want to consider a monthly or a monthly combined with a 10 pass (valid for six months) for times of frequent travel. Yes, athletes can drop-in for either CrossFit or Bootcamp. Athletes who have attended a CrossFit foundations course with at least one-month of CrossFit experience are welcome to drop-in to any CrossFit class for $13 (including VAT, no VAT refunds available). No former experience is necessary to drop-in to our Bootcamp program for $8 (including VAT). Please create an account and reserve your spot online as some of our classes tend to fill up quickly. Alternatively, if you are here for work or an extended stay, you may want to look at a 10-pass or signing up for a full month membership. Please contact us with any questions you may have. Not yet, but this is a top priority. We live in an amazing country with awesome people and we want to make fitness available for everyone. We’re actively looking for the right Cambodian trainer. 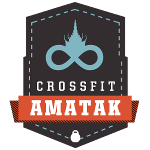 If you speak fluent Khmer, have your Level 1 CrossFit certification or are planning on getting it, please contact us and let’s meet up for a coffee (no sugar). We have sourced high-quality equipment directly from suppliers in China. China makes low-quality and high-quality goods, we opted for the better stuff. That being said, we’re starting this on a limited budget and have to import everything so we’re working on equipping up the box in stages. Yes, we’re actually quite proud of our changing rooms. We have a lot of commuters so you’ll find a hot shower and towels available along with a lock and a locker waiting for you. We’re also happy to guide you on where to buy a better form of transportation. No, we only accept cash at this time. If demand is there for Credit Cards we will look into this but right now the banking infrastructure in Cambodia is a bit limited and as you know (or will when you’re here for a while), it’s largely a cash based society but do let us know what other payment methods you’d like to see.